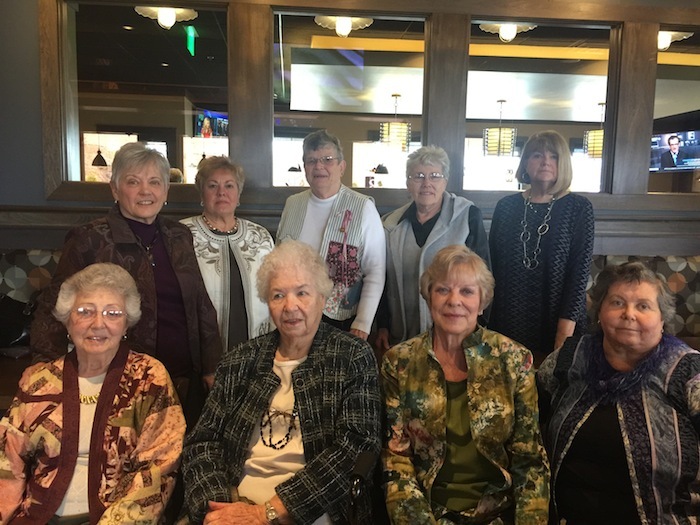 The Niles Chapter of the American Sewing Guild hosted the membership meeting of the GFWC Warren City Federation that took place at the Stonebridge Grille & Tavern. Maj. Dianna Morales of the Salvation Army/Emergency Food Pantry, attended and accepted the nonperishable food items that were donated. Members of the chapter seated above, from left, are Joan Dales, Ruth Smith, Kathy Chamberlain and Rita Baugher. Standing are Susan Layshock, Lenore Antonelli, Carol Lewis, Karen Bandy and Barbara Rosier-Tryon. July 26, 2007 8:21 a.m.
January 29, 2008 8:11 a.m.
May 24, 2011 4:23 a.m.
April 8, 2016 10:47 a.m.